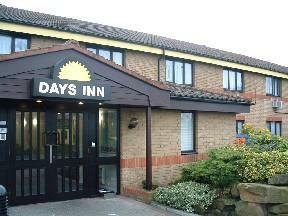 This hotel is close to the A1(M) and has free Wi-Fi, a 15th-century pub and a restaurant. Direct trains reach London in 30 minutes, and Galleria Shopping Centre is a 10-minute drive away. 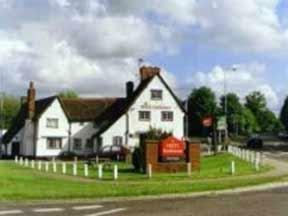 Roebuck Inn is near to Hatfield, Baldock, Hertford and Welwyn Garden City. All its rooms are en suite, comfortable and equipped with the main facilities required during your stay. In 22 acres of beautiful rural Hertfordshire parkland, this charming and elegant house is near Watford, just off the M25 and M1 motorways, and easily accessible from Heathrow Airport. 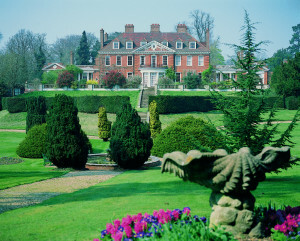 Conveniently close to London and with quick and easy access from the M25 and the M1, Hunton Park combines the historic beauty of its Queen Anne-style architecture with modern comforts and facilities. The hotel has 20 state-of-the-art, fully-equipped meeting rooms and 60 well-appointed en suite guest bedrooms, each with free high-speed internet access and TVs with Sky channels. Free Wi-Fi wireless internet access is available throughout. St Albans, Whipsnade and Woburn Abbey are all within easy reach. Whether you are staying at the hotel for business or for a holiday, the good facilities are a great way to relax after a hard day's work or a long day spent exploring the area. 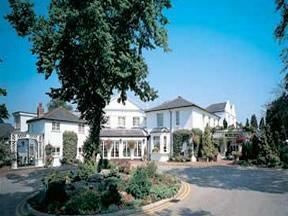 This traditional country hotel, pub and restaurant is situated in the heart of the village of Ashwell, Hertfordshire. The comfortable rooms have free Wi-Fi and satellite TV. The antique furniture has been collected by the current owners and fits perfectly with the style of the pub and hotel. The pub has 2 bars, a dining room and a restaurant. 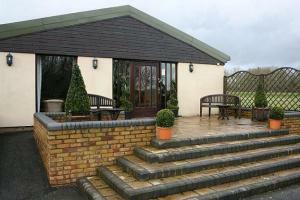 The large garden at the rear is a great space for relaxing in summer and has a new children's play area. The public bar is dog-friendly. The existing building can be traced back to 1806, and a public house is recorded as existing on the site in 1700. Dating from the 16th century, this former Tudor coaching inn stands in the heart of Tring, overlooking the town's picturesque church. Tring is a market town set in the beautiful Hertfordshire countryside and bordered by the Chiltern Hills and the Dunstable Downs. The justices met here on a highway business in 1711 and from the middle of the 17th century to the middle of the 19th century, it housed the excise office. The landlord in 1832, Timothy Norwood, brewed his own beer and was also an excise man. In 1852 it also served as the booking office for the London and Northwestern Railway Company, and later the Inland Revenue office. Even after coming off the railway, The Rose & Crown was still an important and busy coaching inn and as well as its more aristocratic connection, was also a popular meeting place for local farmers. Beer was brewed on the premises until the 1860s. The original building was Tudor with the addition of an early 18th century frontage of 3 stories with a tiled roof, 5 dormer windows and an archway entrance to the yard. It stood flush to the present pavement and had a bowling green at the rear. The hotel stood in large grounds in which fairs and circuses were held. It was demolished in around 1905. At about that time it was bought and rebuilt in the Tudor style, mainly for the guests of the family, by Lord Rothschild who lived in Tring from 1837 and whose architectural influence can be seen in much of the town. The designer was William Huckvale. This beautiful hotel, set within acres of the beautiful Hertfordshire countryside has recently been refurbished to a contemporary and modern-day d?cor. Set in a truly prime location and conveniently located for Luton Airport & Whipsnade Zoo and within easy reach of the M1, Central London, St Albans & Woburn Abbey. 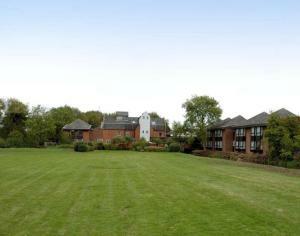 The hotel features full leisure facilities including an indoor heated pool, fully equipped gym, Jacuzzi & steam room. Recent refurbishment is now completed, including Bedrooms, Lounge/Bar & Restaurant for the comfort of guests. 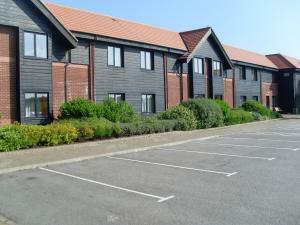 In an excellent location on the A414, close to the M1 (junction 8) and easily accessed from the M25 and M6 motorways, this hotel offers high-speed internet throughout. The Holiday Inn Hemel Hempstead is just 13 km (8 miles) from Luton Airport, 38 km (21 miles) from Heathrow Airport and 24 km (15 miles) from Wembley Stadium. There are also good local rail links to London Euston. The hotel offers high-speed internet access in all air conditioned rooms and throughout the public areas. 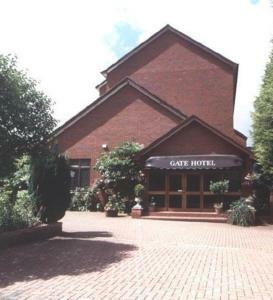 Within easy reach of the M25 motorway, the A10 and the A406 - North Circular Road, this hotel offers great value, with free on-site parking and spacious, modern en suite rooms. Situated in the Innova Science Park, the Premier Inn Enfield has a convenient location, with good access to central London, the areas major road network and many of the major attractions. White Hart Lane, home of Tottenham Hotspur Football Club, is less than 5 miles (8 km) away. The hotel has a 24-hour reception desk and some rooms can take 2 adults and up to 2 children (under 16 years). The 2 children also get a free full breakfast when accompanied by an adult eating a full breakfast. An all-you-can-eat buffet breakfast is available each morning and includes scrambled, fried, poached or boiled eggs, and pork or vegetarian sausages. There is also a wide continental selection. The on-site Table Table restaurant offers a fresh new twist on eating out. 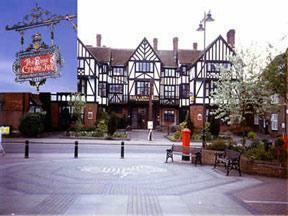 Elstree Inn is in the heart of Borehamwood, close to the train station and a shopping park. It offers a friendly approach and an affordable price. Rooms and facilities are currently being improved, and the good-value rates reflect this. 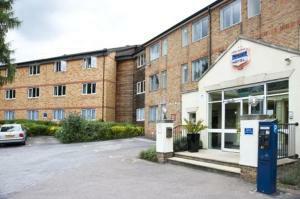 Nearby attractions include Aldenham Country Park, and there is good access to the M1 and M25. There is free parking on site. On the edge of historic St Albans, with very easy access from the M25 and M1 motorways, this 4-star hotel offers free parking and superb relaxation facilities, including a swimming pool. The Thistle St Albans has been tastefully transformed into a country-house-style hotel offering modern facilities and excellent meeting rooms. The Otium Health & Leisure Club is available to all guests and includes a fitness room, an aerobics studio, a jacuzzi, a sauna and a steam room. The large indoor swimming pool also has a spa pool. A beauty salon is also available at an additional cost. The Noke Restaurant offers fine dining, while the Oak and Avocado Bar Lounge is suitable for more informal occasions. Within a short drive of Hertford town centre, this charming country retreat offers a comfortable and welcoming atmosphere in an area of outstanding natural beauty. Providing peace and tranquillity, Mulberry Lodge is a barn conversion with elegant furnishings, lofty ceilings and inviting bedrooms; this really is an oasis of comfort and relaxation. With several golf courses, local theatres and historical venues within a 5 mile radius, all tastes and interests can be catered for. A range of drinks is served in the lounge area. In addition, you can enjoy the local country pubs serving traditional English meals. 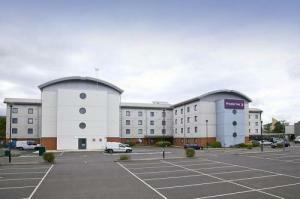 This Premier Inn has free parking and family-friendly rooms, close to the M25 and M1. Kings Langley Rail Station is 1 mile (1.6 km) away, which is less than 30 minutes from London Euston. 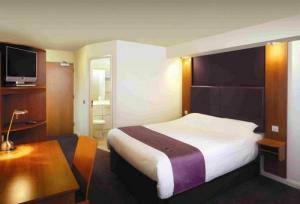 The Premier Inn Kings Langley hotel is 3 miles from the centre of Hemel Hempstead. The hotel has on-site pub-style restaurant. Some rooms can take 2 adults and up to 2 children (under 16 years). The 2 children also get a free full breakfast when accompanied by an adult eating a full breakfast. The full all-you-can-eat breakfast has the expected cooked items, including vegetarian sausages, as well as a wide continental selection. Hidden within 40 acres of stunning Hertfordshire countryside, the suites at this luxury retreat form a courtyard setting and exude a typical English charm. Enjoy the very popular Retreat Restaurant and cosy log burning fire in the bar/lounge where you can sample fine food and fine wines. The hotel is available for exclusive use, or hire for important corporate events, weddings, functions and product launches. 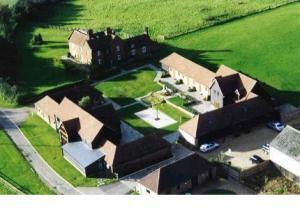 Come and discover Coltsfoot Country Retreat, the hidden gem of Hertfordshire.